Mahabaleshwar is a popular hill station that acquired its name from God 'Mahabali' and is also known as one of the best tourist destinations. If you are planning to visit Mahabaleshwar then you will truly experience the beauty of the city. You come across different places including Lingamala waterfalls, Elephant's head point, paratagad and many other attractions. 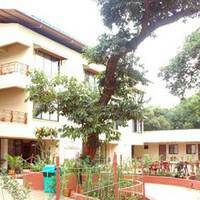 For an enjoyable trip, take care to book the best hotels in Mahabaleshwar in advance. 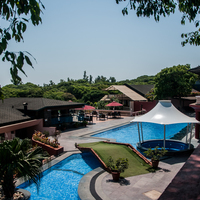 Sometimes searching for the best Mahabaleshwar hotels within your budget might be difficult. But if you take the assistance of Cleartrip then your search for the 5-star, 4-star or even budget hotels becomes very easy. 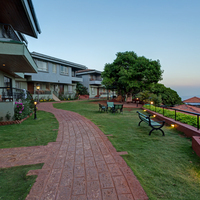 You will find top Mahabaleshwar hotels at affordable and the best prices along with discount offer only at Cleartrip. In addition to hotels, you also have the option of home stays, guest houses, service apartments, resorts, boutique and heritage hotels. 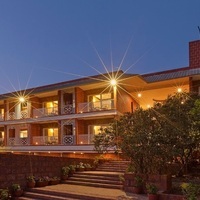 Advance bookings is a wise way to book hotels in Mahabaleshwar at affordable prices and to avail exclusive offers. You will enjoy a nice trip if the accommodation is good. 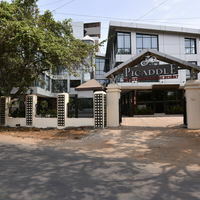 In order to know about the hotels here, you must browse Cleartrip as the website clearly gives you the price of different hotels in this city. Here, it becomes very easy for you to search the best hotel keeping in mind your budget and amenities you are looking for. 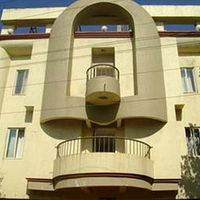 If you are looking for cheap hotel options, even then you can find best, low-budget hotels in Mahabaleshwar on Cleartrip. Located in the state of Maharashtra, Mahabaleshwar is one of the prominent hill station located in the Western Ghats. It was once the capital of Bombay province during the British rule. Since then the economy of Mahabaleshwar has flourished making it one of the promising destinations for tourists. Mahabaleshwar is also known for its evergreen forests. The number of tourists visiting the place has been on the rise in the past few years. Like every other tourist spot, Mahabaleshwar is frequented by thousands of tourists every year. To handle the rush, there are many hotels in varied price ranges for every budget. These hotels provide different facilities depending on the price. 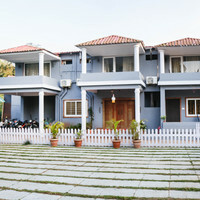 There are hotels with basic facilities like ACs and television facilties. 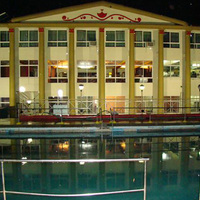 The luxury hotels offer facilities like pool, gym, bar and others. You have the choice to pick one depending on your budget and requirement. 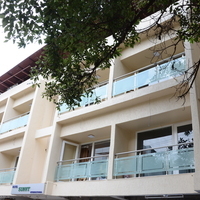 With Cleartrip, hotel booking in Mahabaleshwar has become an easy task. You can book a hotel in advance and avail the best deal at Cleartrip. 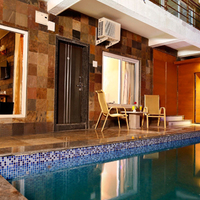 Location: Your hotel must be located near the prominent tourist spots of the town. It can give you a delightful view and save your time as well. 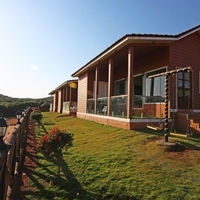 The location plays a significant role in enjoying a stay in Mahabaleshwar. Season: During peak season the hotel prices usually go up. Also, it would be difficult for you to find one due to huge crowd. 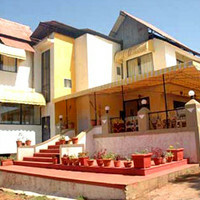 Therefore, it is advised to book a hotel in advance if you plan to visit Mahabaleshwar during the peak season. Budget: Budget affects your choice. It is evident that you want a good hotel at reasonable price. You can get one if you search through the list of hotels available at the different price range in the town. Luxury: If money is least of your consideration, then you should choose a 5-star hotel which can provide you facilities with premium quality. These hotels include bars, restaurants, pool and other services. 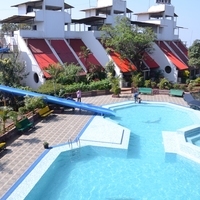 Hotels near Venna Lake: One can book hotels near Venna Lake, which is one of the major tourist attractions in Mahabaleshwar. This is the place from where one can enjoy the Lake's View or get to Mahabaleshwar's famous market. Mahabaleshwar temple is one of the main attractions of the town so taking an accommodation near this area can be beneficial as you can visit the temple easily to offer your prayers. As the choices are numerous, the price range is extensive. 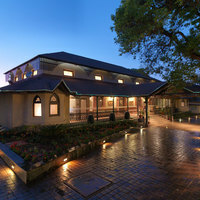 There are almost 160 hotels in Mahabaleshwar with different kinds of services. The price depends upon the services provided by these hotels. 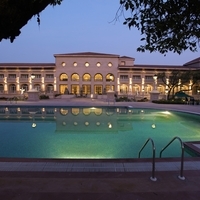 The price can start from 650 INR and go up to 15,000 INR depending on the luxury of a hotel. You can get a decent hotel at the minimum price. 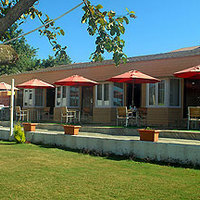 The reasonable rates provided by these hotels are appraised by the tourists. The city of Mahabaleshwar is well-connected through road. The state-run bus service connects Mahabaleshwar to Mumbai, Pune, Satara and other prominent places of the state. The nearest railway station is Satara which is 60 km away. The Pune railway station is about 120 km away. Also, tourists who want to travel via air can land at the nearest airport that is Pune International Airport which is about 120 km away and reach by road from Pune. Mahabaleshwar Temple: The unique thing about this temple is the shivalinga which gives an impression of Rudrakshas spread out on the rock. 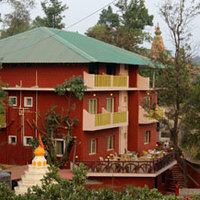 Krishna Devi Temple: This old temple offers perfect views of the Krishna valley and its surroundings. Elephant’s Head Point: This place offers amazing views of the surrounding landscape. It is a peaceful spot where one can find comfort away from city’s fast moving life. Lingmala Waterfall: Located on the Mahabaleshwar-Pune Road, this waterfall falls from the height of 600 feet. Arthur Seat Point: Situated on the mountains, this place is ideal for trekking. One can also enjoy the beauty of nature here. From ancient times the place is known for its culture. Overall one can say that the city has been rich in culture from the ancient history. Markets: The place is a home to the handicrafts and foot wears which include Kolhapuri, Walking sticks, Tribal trinkets and many more. There are various fruits which are locally grown such as strawberries, mulberries, gooseberries, and others. Some of the famous shopping places in the town are Mapro Garden, Town Bazaar, etc. Food: When it comes to food, Mahabaleshwar is renowned for traditional Marathi cuisine. The taste is very refreshing and wonderful. The dishes include Vada Pav, masala chai, Pav Bhaji and others. You should stop by in a fine dining place to rejoice the taste of indigenous cuisine. Mumbai: Located in the state of Maharashtra, Mumbai is at a distance of about 152km from Mahabaleshwar and is popular as the entertainment and financial capital of India. Pune: Also referred as the the Oxford of the East, Pune is located at a distance of about 72km from the town of Mahabaleshwar and is famous for its art, culture and theatre. 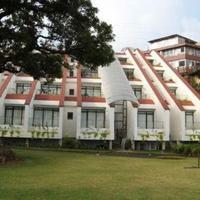 : Located in the smallest state of India, Panaji is the famous destination in terms of churches, and beaches. It is at a distance of approximately 272 km from the town. Mahabaleshwar experiences a moderate climate throughout the year. Like other towns in the state, it receives heavy rainfall. The temperature here in summer ranges between 28 degree Celsius and 40 degrees Celsius. In winter the minimum temperature stays around 18 degree Celsius. The evergreen forest has a lot to contribute to the weather. The climate is pleasant and ideal for travelling. Also, hotels are expensive during this time. The town receives heavy rainfall. The tourists are advised not to visit the town during this time. Ganesh Chaturthi: Mahabaleshwar is a place where spirituality and nature come together. The Marathi factor also plays an important role when it comes to celebrating festivals. Ganesh Chaturthi is celebrated in the entire state with immense zeal. Strawberry Festival: It is celebrated in the month of March. Many activities are held with the help of villagers and people enjoy visiting the strawberry farms and get to pick fresh strawberry. Vijayadashmi: It is also celebrated all over India and held on the 10th day of Ashvin as per the Hindu calendar.